The Science cabin was finally opened to the children as both Year 4 and KS1 embarked on after school Science Clubs. 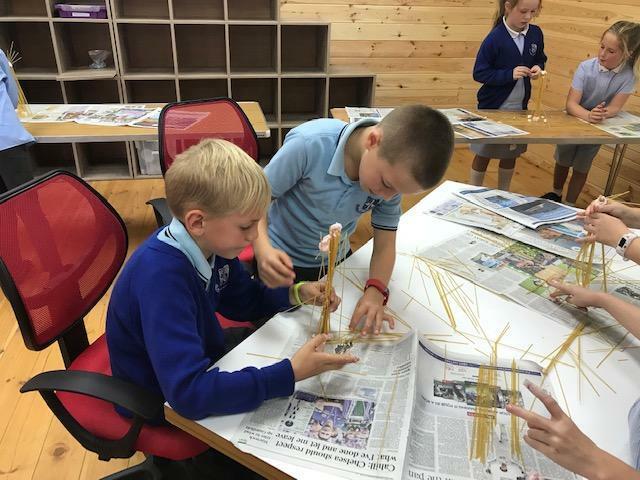 On Thursdays, led by Mr Lynn the Year 4 children will be taking part in different scientific investigations that will inspire and improve their physical handling, as well as being fun! 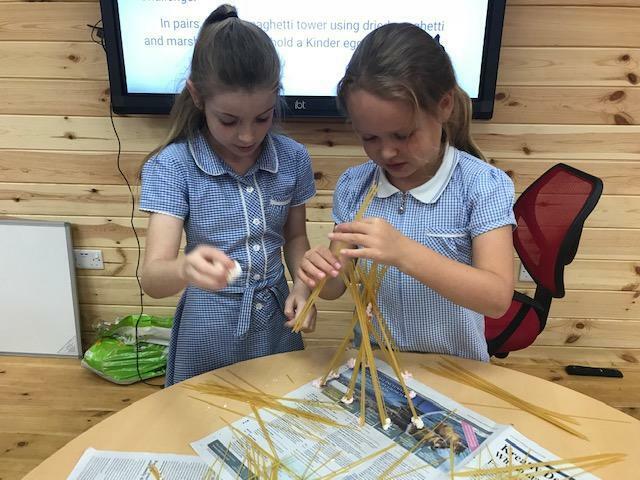 The first session encouraged pairs of children to build a tower out of dried spaghetti and marshmallows. It was a great success! The infant children signed up and joined Scientists from the ‘Mad Science’ organisation. These exciting activities take place every Friday for 10 weeks and they have questioned and experimented on lots of activities so far.